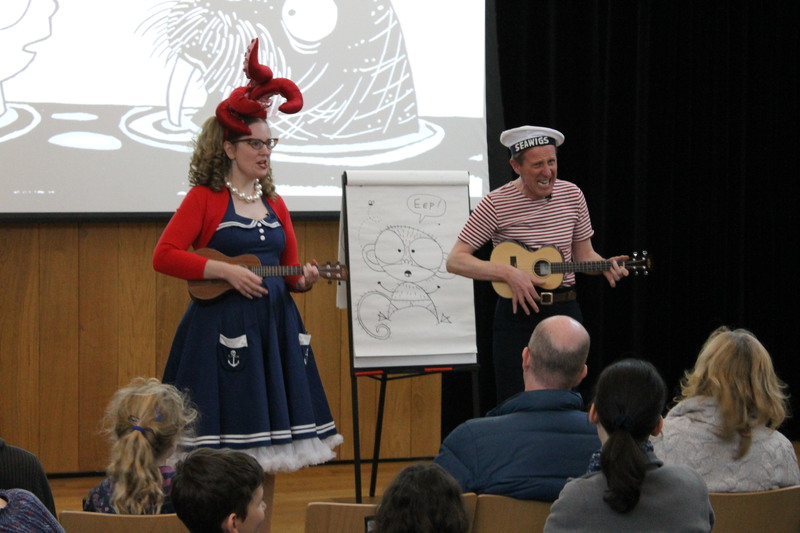 Seawigs at the Oxford Literary Festival! 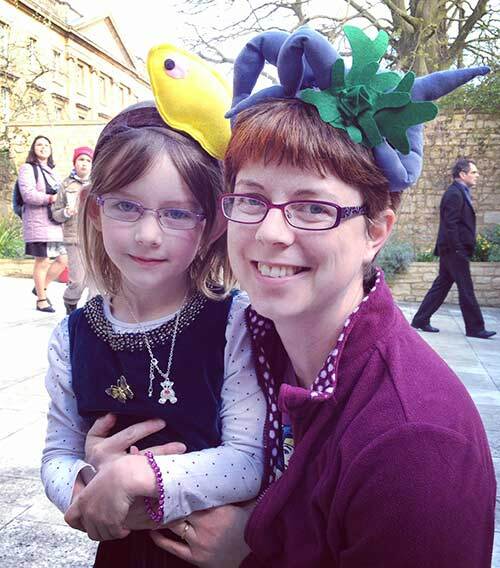 Yesterday I took my eldest to an event at the Oxford Literary Festival. 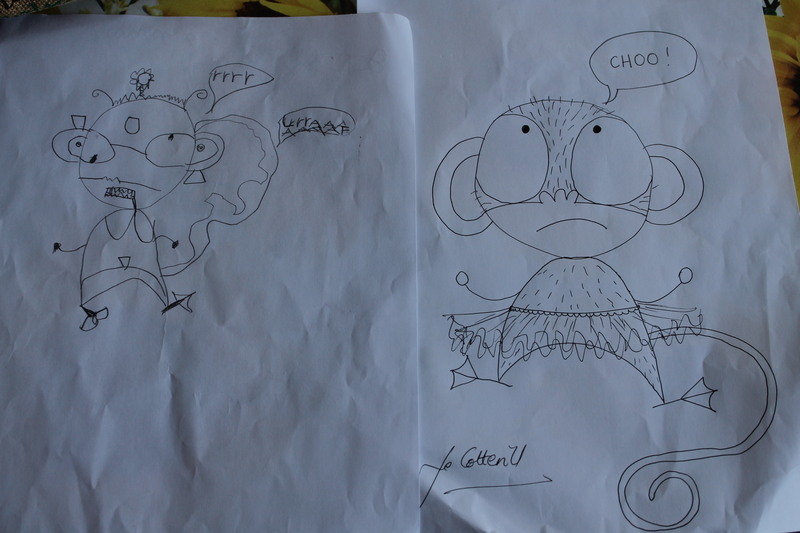 I was very much looking forward to it because it featured Sarah McIntyre and Philip Reeve. 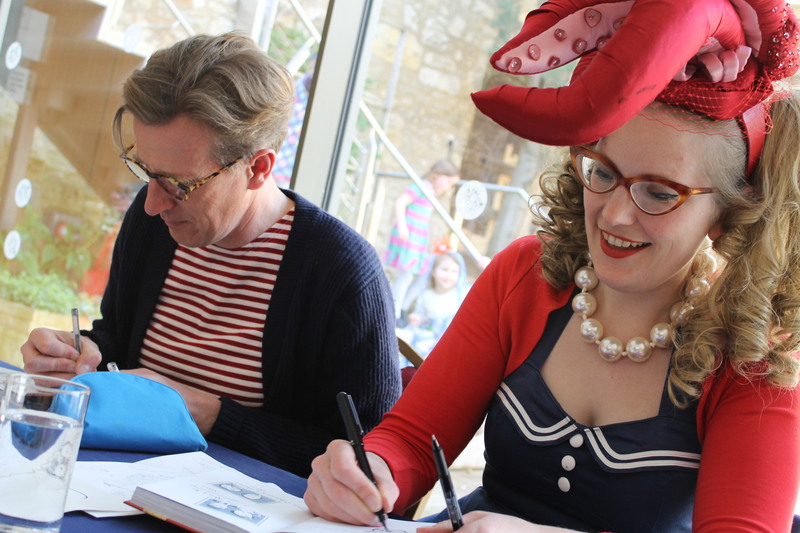 I’ve met Sarah at a handful of events over the years and she’s a wonderful person who always wears the most amazing outfits. I’d not met Philip before but he’s been blogging for Girls Heart Books and doing a great job too, so it was really nice to be able to say hello face to face. 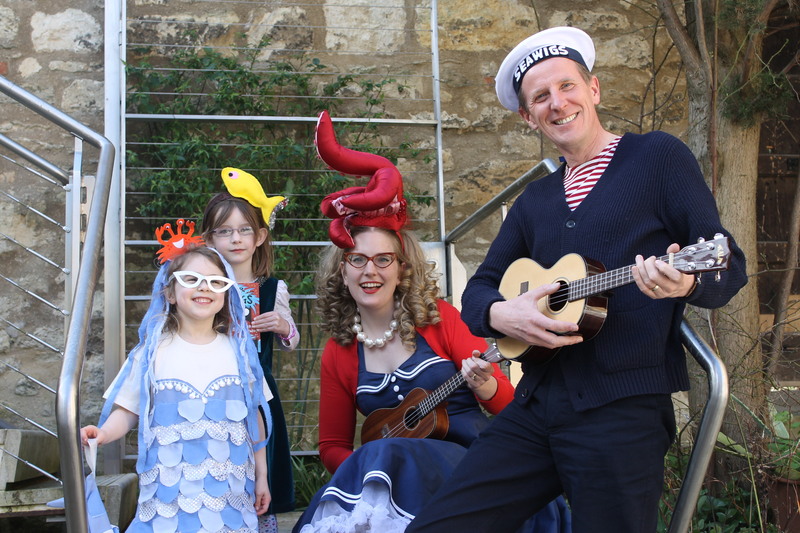 and had their photo taken with Jemima and another girl who had come dressed as Iris, the short-sighted mermaid in the book! 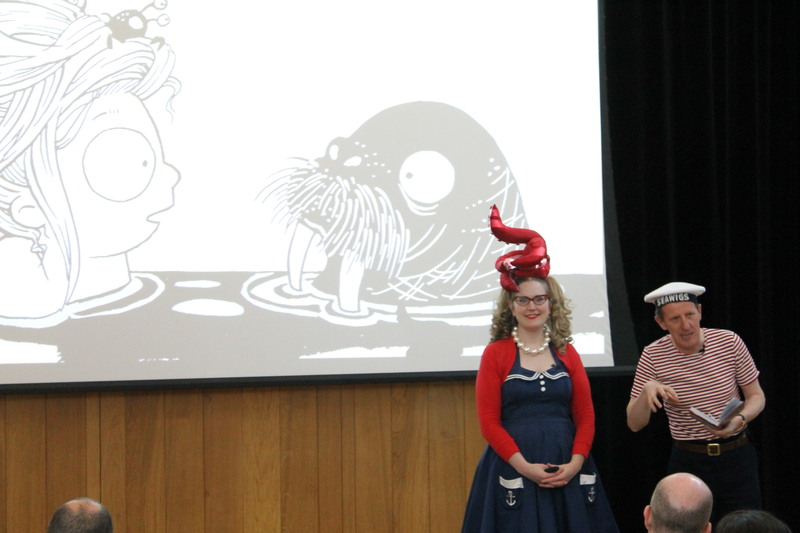 It was a really fun event – many thanks to OUP, the Oxford Literary Festival and Sarah and Philip!